Historically then, India has placed far too much burden on the civilian side in Pakistan to change the domestic structural dynamic, without, in any meaningful way, also sharing responsibility of changing the incentives of institutions such as the Pakistan Army which thrive on controlled confrontation with India. Most debates on India’s coercive options treat it as a mutually exclusive process—a false choice between engagement and containment—rather than as a vital component of a grand strategy. If India seeks more than fleeting success, it needs to develop a policy strategy that is logical and consistent with the two mutually inclusive goalsthat have shaped Indian thinking for decades: the transformation of Pakistan’s regional behaviour and its internal power structure. Zorawar Daulet Singh is an author and foreign affairs analyst. 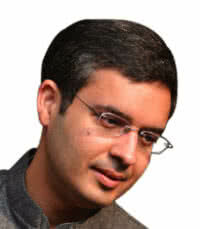 He is a Fellow at the Centre for Policy Research (CPR). He is also an Adjunct Fellow with the Institute of Chinese Studies and a Visiting Fellow at the Forum for Strategic Initiative. Zorawar’s research interests include India’s foreign policy, various dimensions of India China relations, Eurasian geopolitics, and, international political economy. His recent book includes India China Relations: The Border Issue and Beyond and Chasing the Dragon: Will India Catch up with China? Zorawar’s latest book, Power and Diplomacy: India’s Foreign Policies during the Cold War, has been published by Oxford University Press in 2019.